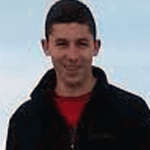 Meet Christopher Klee, a happy DAT Bootcamp customer who recently conquered the DAT. 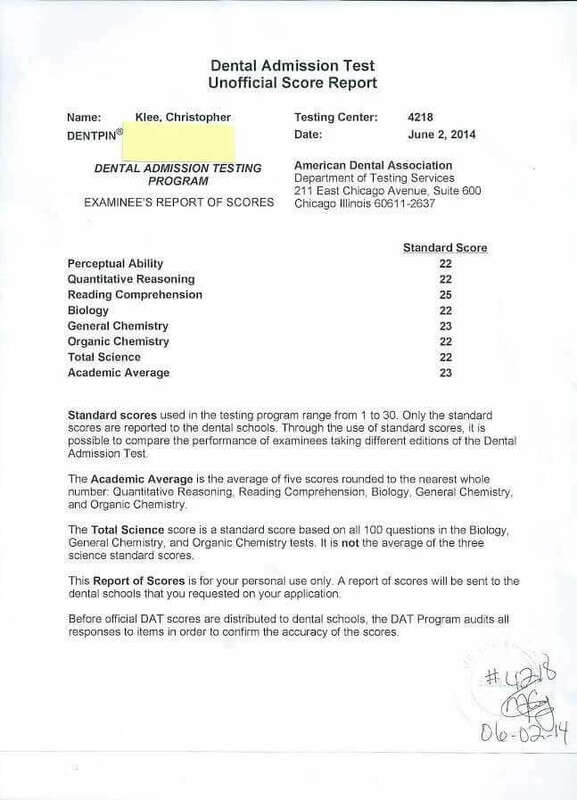 I’ve asked Chris to share his DAT experience with us as the featured student of September. One piece of advice I can give to others, which sounds like the easiest part of the whole thing, is scheduling the test and finding the proper time to do it. I knew that unless I actually scheduled a date to take the exam, I wouldn’t have a sense of urgency to learn the material and I wouldn’t be able to create a plan to do as well as I possibly could. Once I decided to schedule the exam, I had to pick a date. I wanted to give myself about a month of complete commitment to the exam, so I scheduled it for about a month after I finished the semester. In the time studying during the semester, a few hours per week, I was able to work through the material and I felt I had a solid understanding of everything that would be on the test. Once the semester ended, I spent all of my time taking practice tests. That gave me a better understanding of what I didn’t know and what I needed to improve on. 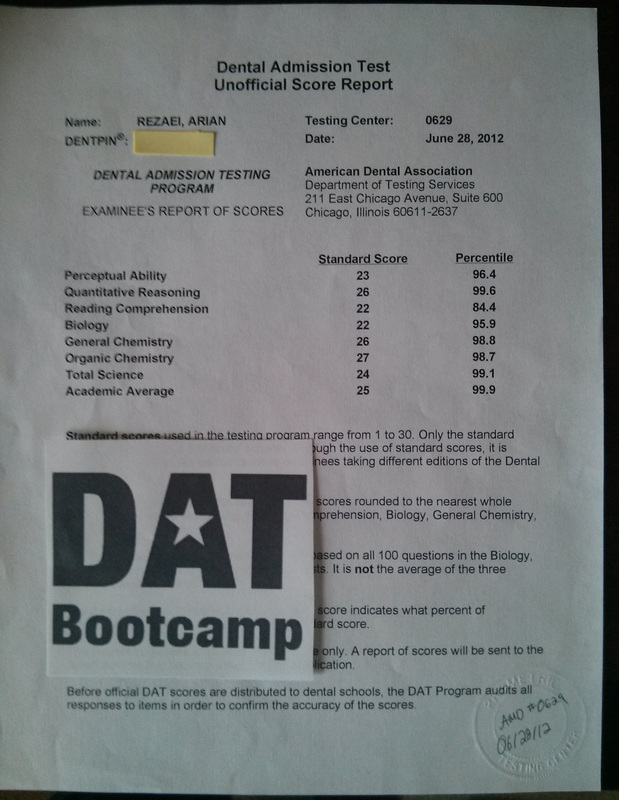 DAT Bootcamp was my primary diagnostic tool to find out where I stood in terms of how I was going to do and what I needed to spend more time on. The detailed answers to every question not only helped me work through the questions, but it gave me a direction with the remaining studying I had to do. I was taking a new practice test every other day; this helped build the mental stamina that you need to do well on the later sections, and help me constantly review weaknesses. The practice for the PAT section was also incredibly helpful. I sat through hours of angle ranking and cube counting problems in order to figure out the best way to attack those problems on the test, and it all paid off. If I could change anything about my preparation, it would have been paying attention to a few more details when going through my biology material. Some of the questions had details that I had not anticipated being on the test, so I had no chance to answer them correctly. In hindsight, finding Bootcamp a few weeks earlier would have been really nice and I think with more time on Bootcamp my scores would have been a bit higher. Other than that I was quite pleased with my performance overall. I felt that DAT Bootcamp was able to prepare me for the difficulty of questions without making the test seem impossible. My score breakdown: 23 AA, 22 TS, 22 BIO, 23 GC, 22OC, 25 RC, 22 QR, 22 PAT.